When I ask you to picture in your mind’s eye a resort marina, what do you see? Palm trees, happy hour from 6 to 8 p.m., joggers, and bikinis? I should be so creative (oops… I think I am:) From an appraiser’s perspective, even if that’s the way it appears, that’s not the way I see it. I picture a large, red question mark because there’s no way of telling what this is until you get out there. You already know there are many types of marinas. But there are even more types of resort marinas! The reason is that almost every resort marina is its own market. Comparing the marina to any other marina is a stretch even on a good day. Many resort marinas are logistically far away from large and small cities, or the largest towns. It’s not uncommon to find resort areas surrounded by nothing but open space. They may have their own airport, as in the case of Hilton Head, South Carolina. For all these reasons, you usually find transient boaters making up a much larger percentage of total income in these marinas. There will be more buildings on or nearby, especially restaurants and other entertainment locations. You’ll find dedicated ship’s store buildings as common, as compared to the ship’s store/office/restroom combinations that are so frequent in typical marinas. The theme of the place may coincide with the community including a similar construction type and quality. If you visit it, it will “feel” like a resort marina. You don’t get that at typical marinas. 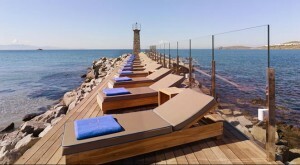 Most times, there are things to do within an easy walking distance of the marina. It can be part of a large master planned community, often with a golf course. You’ll also find that the quality and responsiveness of management will be better too. At least, that’s what I’ve found. The demographics of the boaters will be different. There’s usually little dry storage because the boaters go where they have their first home. As in the case of intercontinental waterway resort marinas, the boaters just use their boats to go north or south for the off season. Resort marinas that are surrounded by master planned communities are especially geared toward the demographics of the community, much more so than just the transient or seasonal boater. Restaurants and clubs are common, boat sales and repairs much less so. 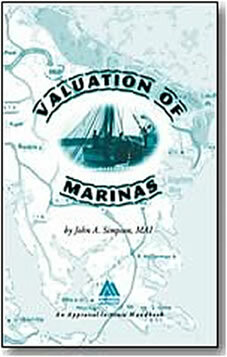 Valuing resort marinas is especially tricky. The mix of what is typically there is almost always different from your general marina. Larger resort marinas will have parking ratios that are far greater than the market and this often results in relatively few buildings on the site compared to typical marinas. There’s more possibility that a portion of the site (especially if it’s used for parking) can be turned into additional residential lots for the community, which requires a whole other type of analysis above and beyond just a marina valuation. There may be few buildings that are leased, so the market value for the unique building mix may be difficult to determine. The tenancies are different and rarely comparable to another facility. For instance, it may be a requirement that a person be a member in a golf course or community and even then, the fees charged could be hefty. Another example is the type that collects mainly or exclusively transient dockage fees. They do it because they can, unlike most marinas that only have a small portion of the docks available for transients, if any. Although there isn’t the boat repair or boat sales operations to value, resort marinas generally have very few competitors in the same class. A true comparable may be a hundred miles away. As you can guess, I’ve setup the answer for you. You won’t be able to do a sales comparison. There won’t be enough resort marina sales. 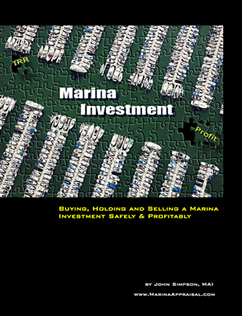 You can’t compare it to another typical marina, perhaps a boat repair facility or a pure warehousing marina. There is just not enough comparable data to make a sales comparison. The cost approach is equally useless. Who buys resort marinas based on their cost to construct? Land sales, well, are scarce to say the least. I never was a fan for using the cost approach to value a marina and I’m even less so for a resort marina. So you guessed it… it’s all about the income approach. You’ll be using the income in place. If there isn’t income in place or there are no financial statements, it’s time to move on to the next appraisal assignment… you really don’t want to put a number on this marina. Somebody’s got to get the books together before it can be valued accurately. As for the cap rate and operating expense ratio, that depends on all the above and how investors are thinking. Sorry, no shortcuts here. We all have our little secrets, right?